Novice swimmers should be comfortable and able to swim unassisted in deep water. Athletes compete as the age they will be on December 31, 2019 (the upcoming 2019 competitive season). 9-12: Learn to Train - fun, physical literacy, synchro skill development and competition experience. The watershow is mandatory as it is essential in a team sport to have a full team present. Dates will be announced as soon as possible. There are three competitions for novice swimmers. Attendance at all meets is MANDATORY to participate in the Novice program. 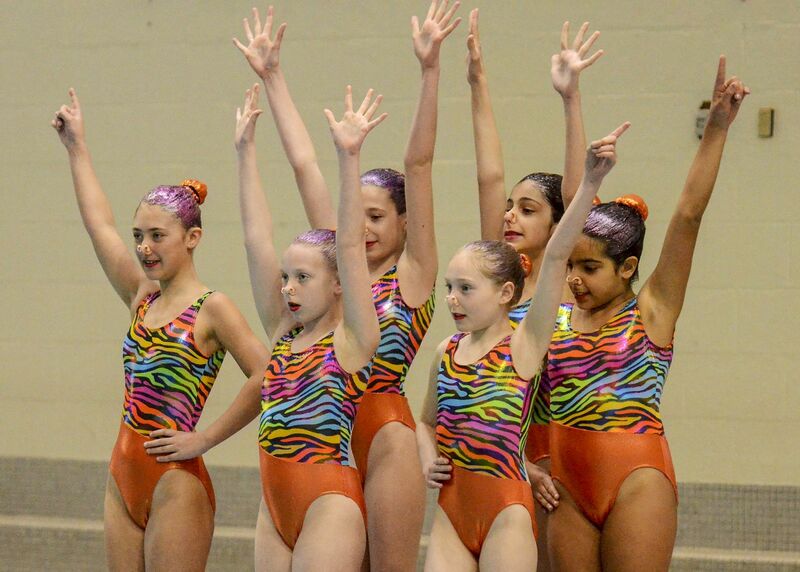 Synchro Ontario requires a medical note if a swimmer is unable to participate. Missing a meet may result in a swimmer not being able to attend subsequent meets. 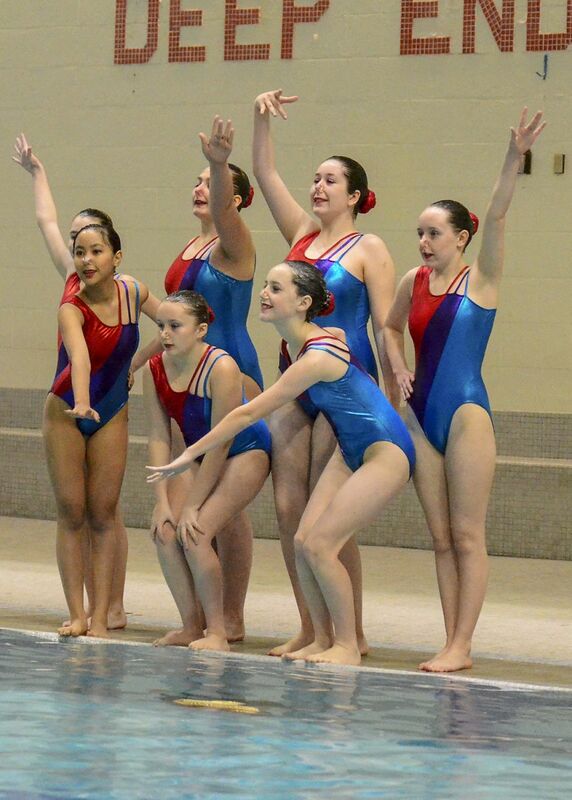 Competition dates will be shared as soon as they are finalized by Synchro Ontario. Early Bird Skills Testing (October) - This meet is usually in the Ottawa area. Novice Regionals (February) - This meet is usually in the Ottawa area. Novice Championships - Typically held in late April / early May. Figures and team are competed. This meet is often out of town. A non-refundable deposit of $250.00 is due at time of registration. Fees detailed below can be paid in full or in installments based on the fee schedule available during registration. * Important * Registration fees DO NOT include travel (hotel, food, transportation, coach per diem), out of town meet fees, or additional merchandise. These expenses will be invoiced separately as incurred. * Swimmers will practice for 2.5 hrs within this time slot. Exact scheduled time between 5:30 and 8:30 will be confirmed within the first couple weeks of practice once teams have been established. Schedules will be subject to exception dates due to pool closures, special events and holidays. As such, some practice times and locations may be rescheduled or canceled. These dates will be shared as soon as they become available.